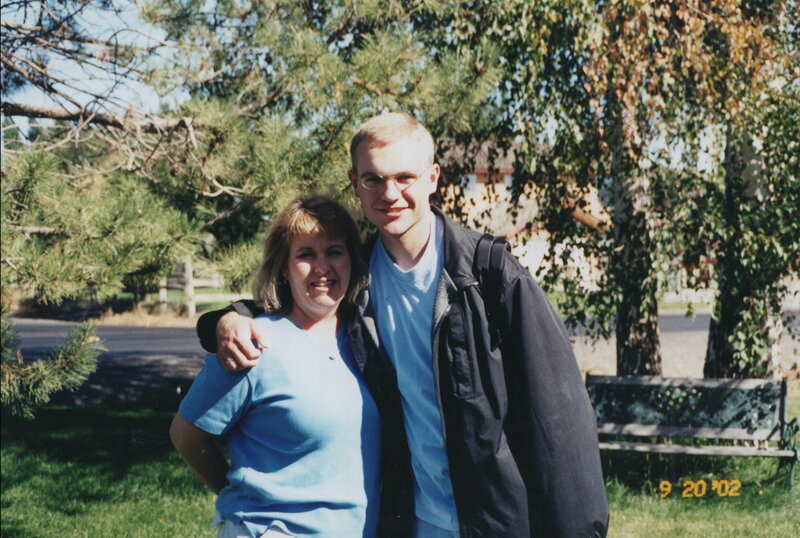 One of the last pictures of my mom and me together, just before I left for my mission. As today marks the twelfth anniversary of her suicide, my mom is in my thoughts. After all these years I still struggle to make sense of her memory. I see it all from the child’s perspective I had when I knew her, and from that point of view she was a paradox: somebody immensely kind and yet overwhelmingly needy; someone I was supposed to turn to for stability, but who was in reality a source of great instability. In early years she was a “home base” to which we children could turn for safety; in later years, she was herself like a child, seeking help and safety from us. Throw on top of this conflicted legacy the fact that I see much of herself in me—the anxious temperament and extreme sensitivity especially—and you can imagine why twelve years on I still feel unresolved about my mother. I’m going to publish two posts regarding Mom that will touch on her dual natures as needy and gentle, bitter and loving. The first is a poetic reflection on her death twelve years past, with copious additional thoughts that paint a picture of some of what made it painful to have her as a mother and to experience her taking leave of this world through suicide. The second is a transcription of thoughts written by her friend about the good, kind woman that Mom also was, as well as an additional tribute in my own words. Though these portraits are quite different, they are nonetheless both true and can’t be separated. She was both things. That’s both the tragedy and the beauty of the person who was my mother.